A regular old bouquet of roses is so last year. Make this Valentine’s Day one to remember by picking up those classic reds, but adding a little twist to the go-to present. There are flower stores throughout Canada offering preserved bouquets that last a full year through. No need for watering, sunlight, or any care at all – just make sure you don’t let them freeze, and you’re good to go! The flowers are generally offered in boxes of escalating size and grandeur, though some also offer single roses. While most of the florists offer delivery, Valentine’s Day is nearly upon us, and showing up empty handed on the big day is never a good look. Save yourself the worry of cross-Canada delivery by checking out the store closest to you, whether you’re in Vancouver, Calgary, Toronto, or Montreal. 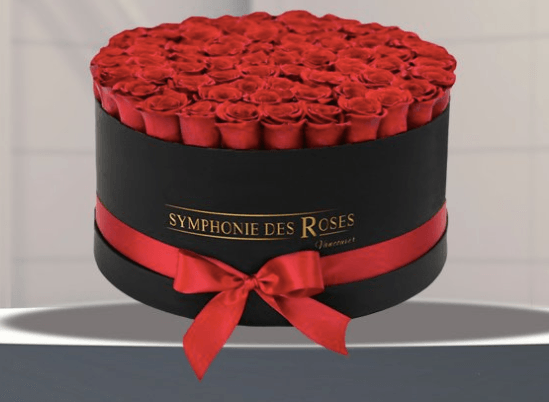 What: Offering flowers of many different colours and collections, Symphonie Des Roses has the preserved rose game down in the Vancouver area. Choose from a single large rose that lasts for a full year to a box of dozens to show that special someone that your love for them will never wilt. What: Keeping things classic, Atelier de Fleur offers single roses for as low as $15, or a box of 15 for $160. Choose from either the classic red or go with something a little wilder like blue or white. 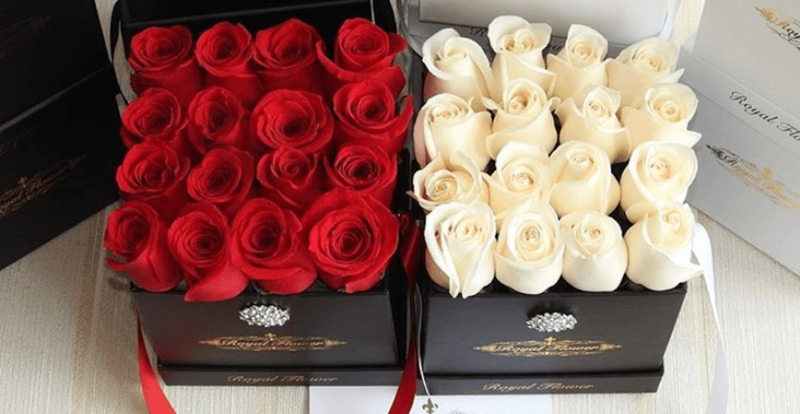 What: Royal Flower has eternal rose boxes that range in size from a single rose to a $1,300 box that spells out “I <3 U” – they’re obviously serious about preserved roses. What: While Fleur & Sense doesn’t only specialize in preserved roses, they do a great job when it comes to these everlasting boxes. There’s plenty of arrangements to choose from, and not a wilted petal in the bunch!